The new AR High-End & Digital division is a very serious company, part of the huge Voxx Corporation and very well funded for R&D, manufacturing and global distribution. 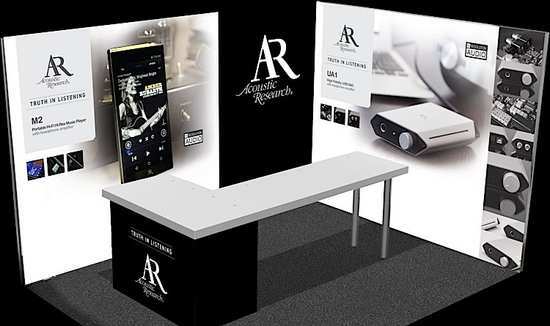 The designer Arex Li and his colleagues are purist audiophiles and music enthusiasts and they are bringing some great products to market. This new division is totally separate from the AR budget products / wireless speakers / bluetooth etc you may come across on the web. The first two products were launched at the Bristol Show on February 20th 2015. 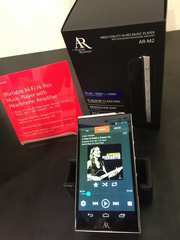 MARCH 2015 - AR M2 - A £900 audiophile-grade Hi-Res portable player to compete with Astell & Kern etc. 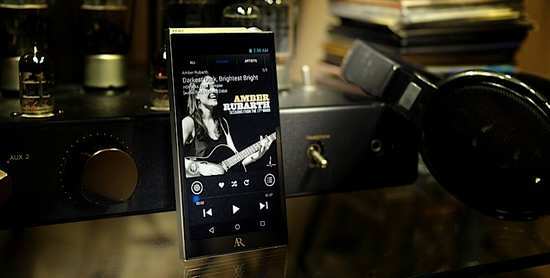 MARCH 2015 - AR UA1 - A £400 audiophile-grade Hi-Res USB DAC / Headphone Amp, notable for outstanding sound quality and particularly for the powerful headphone amp, that will drive high-end headphones of any variety. From 1954 to now, over 60 years, Acoustic Research has shaped the modern home entertainment industry. AR's history of innovation, advanced technologies and unique design for the consumer includes the introduction in 1959 of the dome tweeter (still used in today's speakers), the first ever acoustic suspension sealed loudspeakers the famous AR-3 and the first suspended sub-chassis belt-drive turntable, from which most modern designs derive.